Tuesday 15 April, Chaitra Purnima is observed as the auspicious appearance day of Sri Hanuman in most of northern India. Sri Hanuman was born of Anjani devi and inspired by Vaayu Deva, the God of Wind. He was named Hanuman after the name of the city of Hanumpur over which his maternal uncle Parti Surya ruled. Hanuman's body was hard as a stone. So Anjani named him Vajranga. He is also known by the names "Mahavir" or mightiest hero, and Maruti. The world has not yet seen and nor will ever see a peerless hero like Sri Hanuman. During his life he epitomized dedicated service, devotion, courage, intelligence and humility. He has left behind him a name which, as long as the world lasts, will continue to influence the minds of millions of people. He is one of the seven Chiranjivis, i.e. he will live until the end of this Manvantara. He was not only a learned scholar who knew the nine Vyakaranas, he had also mastered the art of music. He learnt the Sastras from Surya deva. He was the wisest of the wise, strongest of the strong and bravest of the brave. He is one of the Rudra avataras. Anyone who meditates on Hanuman and repeats his name attains power, strength, glory, prosperity and success in life. He, alongwith Ma Durga, are the principal worshipful deities of Kalyug. That is why they can found in practically every corner of this land. Hanuman was born at the most auspicious hour of sunrise on the full moon of the Lunar month, Chaitra, on a Tuesday. (In some parts of India, his birth is observed on the 8th day – ashtami). Hanuman was the chosen messenger, warrior and servant of Sri Rama. He is the votary and devotee of Lord Rama. Rama is his all in all. This picture was purportedly taken of Hanuman in a cave in Manasarovar in the Himalayas in 1998 by a Hanuman devotee while on a pilgrimage to Mansarovar in the Himalayas. The photographer died soon after while still on the pilgrimage. 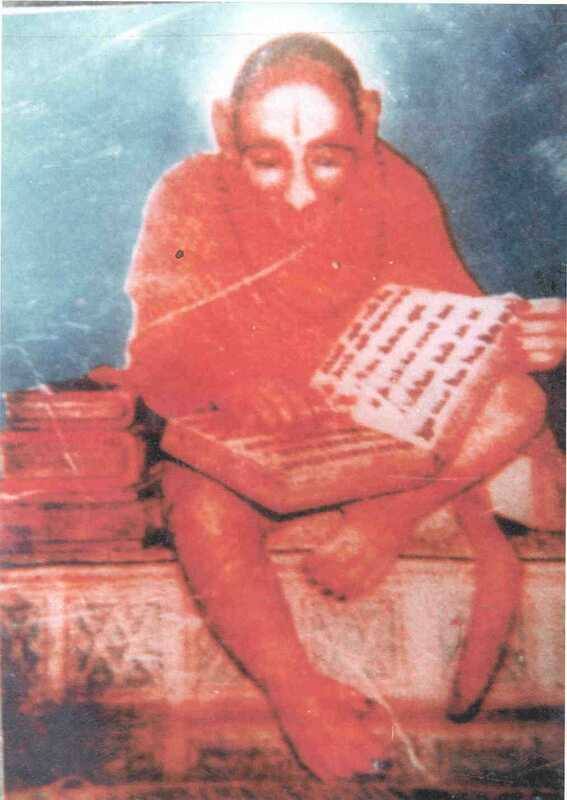 Hanuman was born to Anjana, a female vanari (she-monkey) and Kesari, a male vanara, in Anjana Giri mountain. His mother was originally an apsara (celestial nymph) who was born on Earth as a female vanari due to a curse. She would be redeemed from the curse on her giving birth to an incarnation of Lord Shiva, who is also known as Rudra and endowed with the supreme power of exalted devotion to Bhagwan Sri Hari. Hanuman is endowed with 28 transcendental divine opulences, with perfection in each. Anjana, along with her husband Kesari, performed intense austerities to please Lord Shiva and to beget Him as their son. Pleased with their devotion, Shiva granted them their desired wish. Hence, Hanuman is also known as "Maharudra" because he was born of the boon given to Anjana by Rudra. The Valmiki Ramayana states that Kesari is the son of Brihaspati (the Guru of the demigods) and that Kesari also fought on Rama's side in the war against Ravana. When Agni, the god of fire, gave Dasharath, the king of Ayodhya, a bowl of sacred milk-and rice pudding to distribute among his wives so they may have children, an eagle snatched a small portion of the pudding and flew and dropped it where Anjana was meditating. 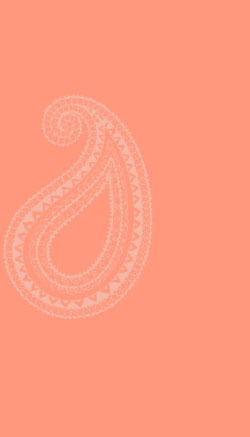 Vaayu, the god of wind, carried the portion and dropped it into her hands as she sat in meditation. After she took the divine paayasam, she gave birth to Hanuman. Thus Lord Shiva incarnated as a monkey and was born as Hanuman to Anjana, by the blessings of Vaayu devata, who thus became Hanuman's godfather. When Hanuman was yet a child, he was very precocious. Blessed with the power of the wind, he was very strong and would use his strength to beat up other vanara children. His mother taught him to use his superhuman strength for good. The child readily obeyed her. The birth of Hanuman released Anjana from the curse. Before she returned to heaven, Hanuman asked his mother about his life ahead. She assured him that he would live till the end of the present cycle of creation and said that fruits as ripe as the rising sun would be his food. Once looking at the rising sun, he thought it must be a delicious juicy ripe fruit, and flew toward it. Observing him getting near the Sun, and fearing for its safety, Indra struck him with his thunderbolt and hurled him down to earth. Falling down, he broke his chin (hanu) and thenceforth got his name Hanuman – one with the broken chin. But Hanuman's godfather, Vaayu devata got enraged and stopped all movement on the surface of the earth. He carried the injured Hanuman to the nether world or 'Patala'. As he departed from the earth, all life gasped for air and Brahma had to beg him to return. In order to pacify him all the demigods conferred a number of boons and blessings on Hanuman that made him invincible, immortal and super powerful. When the great war was over, Vibhishana was installed on the throne of Lanka. The time of exile was about to be over. Sri Rama, Lakshman, Sita and Hanuman sat in the Pushpak Viman or aerial vehicle and reached Ayodhya in time. The coronation ceremony of Lord Rama was celebrated with great joy and pomp. Sita gave Hanuman a necklace of pearls of rare quality. Hanuman received it with great respect and began to break the pearls with his teeth. Sita and other ministers who were sitting in the council hall were quite astonished at this behaviour of Hanuman. Sita asked Hanuman, "Dear son, what are you doing? Why do you break the pearls?" Sri Hanuman said, "O venerable mother, it is the most valuable necklace indeed as it has come to me through thy holy hand. But I want to find out whether any of the pearls contain my beloved Lord Rama. I do not keep anything that does not have him. I do not find him in any of the pearls." Sita asked, "Tell me whether you keep Lord Rama within you." Sri Hanuman immediately tore open his heart and showed it to Sri Rama, Sita and others. They all found Lord Rama accompanied by Sita in the heart of Sri Hanuman. He is everywhere. He who has eyes and devotion beholds him and receives his blessing. Hanuman ranks first amongst the heroes of the world. His heroic deeds, wonderful exploits and marvelous feats of strength and bravery cannot be adequately described. His sense of duty was extremely laudable. He had great skill in all military tactics and methods of warfare. His crossing the sea of thirty miles in one leap and lifting the crest of a mountain in the palm of the hand, his carrying of the brothers on his shoulders from the nether world to Lanka are all astounding, superhuman feats which baffle description. He overcame innumerable difficulties which cropped up in his way through his consummate courage, patience and great intelligence. He made untiring search to find Sita. At the time of danger he exhibited tremendous courage and presence of mind. He was steady and firm in his actions. He was always successful in his endeavours. Failure was not known to him. He dedicated his life in the service of the Lord. He had not a tinge of selfishness in his actions. All his actions were offerings unto Lord Rama. No one reached the peak in Dasya bhakti like Sri Hanuman. He is a rare jewel among devotees, the supreme head among learned pundits, the king among celibates and the foremost among heroes and warriors. O mighty Hanuman, untiring and devoted Sevak of Sri Rama, joy of Anjana, king of Brahmacharins, reveal unto us the secrets of selfless devotional service and the ways to attain purity in thought, word and deed. Glory to Hanuman, the blessed devotee of Lord Rama. Glory, glory to Sri Anjaneya, the mighty hero, undaunted warrior and learned Brahmachari the like of whom the world has not yet seen and will not see in time to come.